WOW! The fabulous works of Fred Kail have long been chronicled by ITPC and we feel they are some of the best figural pieces in the hobby. 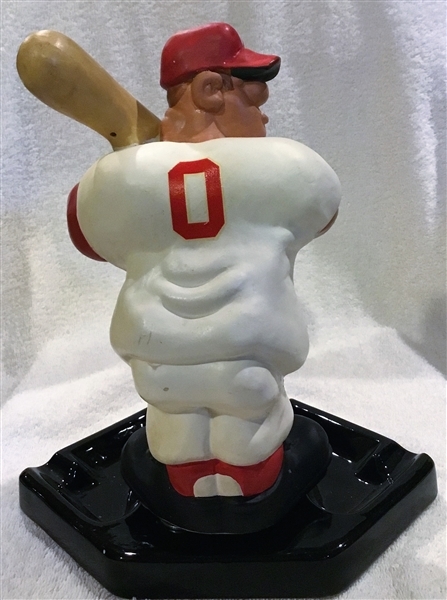 99% of the Kail offerings are of the football series, but his baseball figures are equally beautiful and nearly impossible to find. 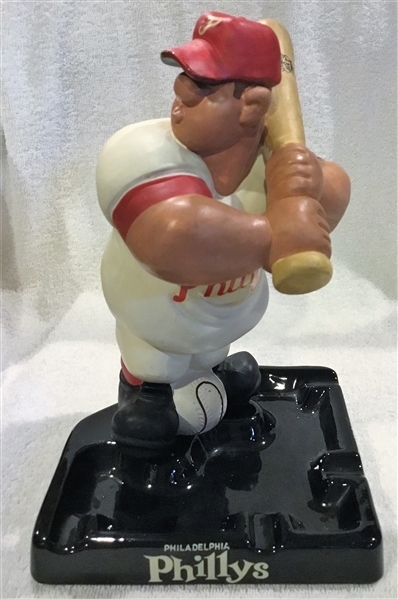 This early 60's ashtray is an original Japanese made Kail that features a "pot-bellied" Phillies batter. The player itself is about 8" tall. It has a strong hat and chest decal. The player stands on an ashtray with the team name emblazoned on two sides. Originally there would have been a screw and wing nut to attach the figure, but this example has a replacement wing nut that does not affect its appearance. It is relatively clean and displays beautifully. Please do not miss this opportunity to own this classic and super rare piece of figural memorabilia. 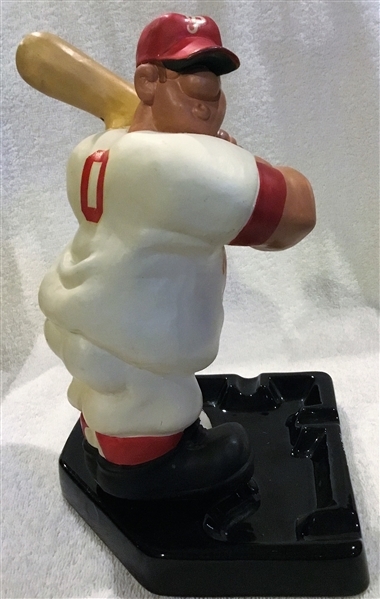 In over 30 years in the hobby, we have only seen a handful of original Kail baseball statues.